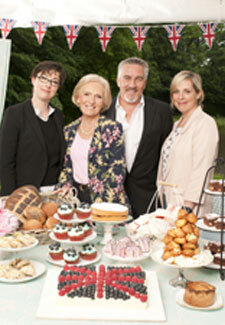 If, like us, you’re already experiencing hunger pangs at the thought of the GBBO-shaped hole in the schedules, fear not! This week sees a series of masterclasses by Paul Hollywood and Mary Berry, showing us how the technical challenges that defeated contestants earlier in the series should be done. Tonight, they tackle rum babas and treacle tarts. And tomorrow, there’s a special episode which revisits last year’s contestants, including winner Jo Wheatley, and discusses how the show changed their lives. The Great British Bake Off Masterclass is on BBC2 tonight at 7pm, then Tuesday at 8pm, and 7pm on Wednesday and Thursday.